Russ Bergeman, a master lighting designer, is the owner-operator of the Lighthouse® Outdoor Lighting franchise located in Denver, CO. Russ’ passion and personalization is made obvious with every project he delivers. No matter your budget Lighthouse Outdoor Lighting of Denver has a solution for you. 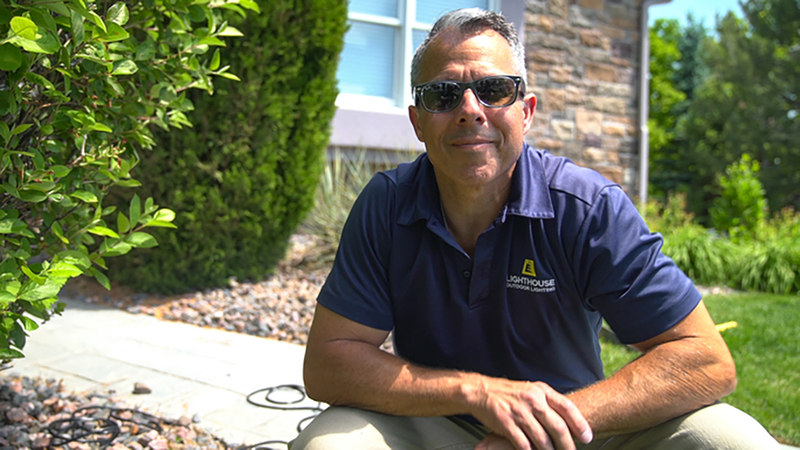 Lindsay Adcock has been in the landscape lighting industry for over 12 years. As the Commercial Manager for Lighthouse Outdoor Lighting, Lindsay works closely with all the members to ensure their success. Her responsibilities include overseeing marketing programs, website development, sales, and member/customer happiness to ensure that every homeowner is happy with their Lighthouse Landscape Lighting System.